Aditi Khorana remembers when she hit her personal rock bottom. After over a decade of working as a journalist and an entertainment marketing executive, she took out her savings in 2012 and left her steady 9-to-5 job to pursue writing her first novel. A year-and-a-half later, Khorana’s freshman manuscript — a feminist fantasy set in ancient India — was rejected by every single one of the 60 or so literary agents to whom she had sent it. She had broken up with a her longtime boyfriend and was apartment-hopping from one sublet to the next, many of which, she told NBC News, resembled motels. “Now I was in this place like, ‘Oh God, I’ve blown up my entire life. I no longer have a job, I no longer have a boyfriend, I lost my home, no one wants my manuscript. What do I do?’” she said. "I was so offended that my Indianness, which is a part of my identity, is like a trend to this person." To console herself, Khorana would spend hours wrapped in a blanket, lying on a couch and crying while watching "Cosmos: A Spacetime Odyssey," the science documentary TV series and sequel to the famous 1980 Carl Sagan-hosted show. This, she said, was her rock bottom, narrated by renowned astrophysicist Neil deGrasse Tyson. “[He] was the only friend I had during this time,” she said, laughing. The “friendship” proved valuable. The show sparked Khorana’s interest in parallel universes. Around the same time, a friend sent her Cheryl Strayed’s “Dear Sugar” advice column, “The Ghost Ship That Didn’t Carry Us,” which inspired her curiosity about alternate or parallel lives. Both prompted her to write the first draft of her debut young-adult novel, "Mirror in the Sky," in just three months. The story centers on Tara Krishnan, an Indian-American teenager wading through the social politics of her mostly white, wealthy Connecticut prep school. At the same time, NASA discovers a mirror planet, Terra Nova, where parallel versions of Earthlings exist, throwing the planet — and Tara — into a collective state of existential crisis. 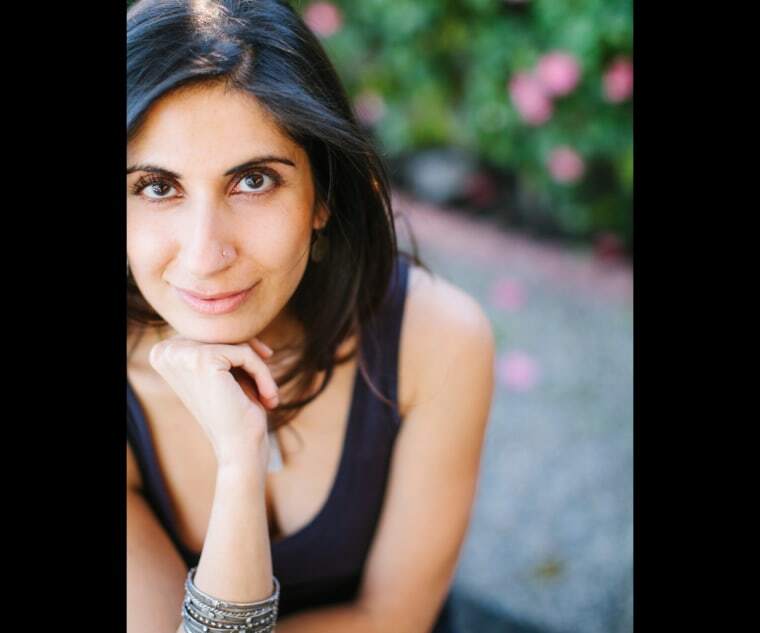 For the South Asian-American author, the idea of a mirror planet holds a deeper meaning. “[It’s a] metaphor for otherness and how we objectify ourselves. Whether you’re brown or a woman or marginalized, whoever you are, we have a habit, particularly through social media, of looking at ourselves through the eyes of others,” she said. Tara’s experience of otherness mirrors Khorana’s own growing up. Born in India to a father who worked for UNICEF and a mother who worked as an urban planner and sociologist, Khorana lived in Copenhagen, Paris, and Geneva before attending high school in Connecticut, where she said she was the only “brown girl” among mostly white students. “The term ‘microaggression’ did not exist when I was growing up. But in this period of my life, there were many microaggressions that defined my sense of isolation, this very clear sense of otherness. That was a huge part of my experience as a teenager,” said Khorana — like the time the guy she had a crush on told her she was pretty despite her “ethnic nose” or when a teacher charged her with explaining Gandhi’s Salt March to her entire class. "The term ‘microaggression’ did not exist when I was growing up. But in this period of my life, there were many microaggressions that defined my sense of isolation, this very clear sense of otherness." Trying to sell a story with a South Asian protagonist written by a South Asian author has elicited its own set of microaggressive responses, the author said. Several editors told Khorana they already had one South Asian author on their roster and were reluctant to publish another. In other instances, Khorana says agents turned her down saying that South Asian literature was a bygone “trend” from the 1990s, with authors like Jhumpa Lahiri and Arundhati Roy. In the event that the trend would come back, she could query them again. “I was so offended that my Indianness, which is a part of my identity, is like a trend to this person. I was horrified. You are shell-shocked when you hear something like that,” she said. But with momentum on the side of authors with diverse voices, Khorana is encouraged and hopes that other writers of color feel empowered in the same way. Mirror in the Sky’s otherworldly plotline is particularly timely. In August, non-profit organization SETI Institute (Search for Extraterrestrial Intelligence) detected a signal and, separately, astronomers discovered an Earth-like planet circling the star closest to the sun. But Khorana already feels as though she’s living her “parallel life” as a full-time writer and not, say, in an office overseeing focus groups for movie studios and electronics brands. Her second novel, "Library of Fates," comes out next summer, and she’s fronting a TEDx Talk about writing "Mirror in the Sky" in the near future.